I’ve never really been one to “celebrate” St. Patrick’s Day, but being online (or more accurately, on Pinterest) and seeing all of the green treats is just too fun! 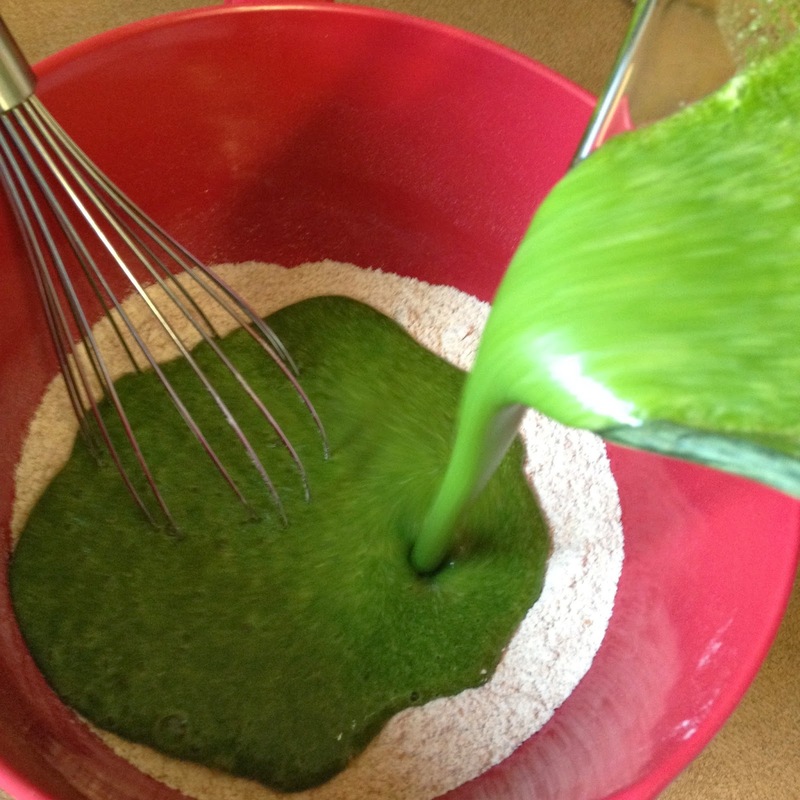 However, most recipes seem to consist of just adding green food coloring to a recipe you would make any other day of the year. 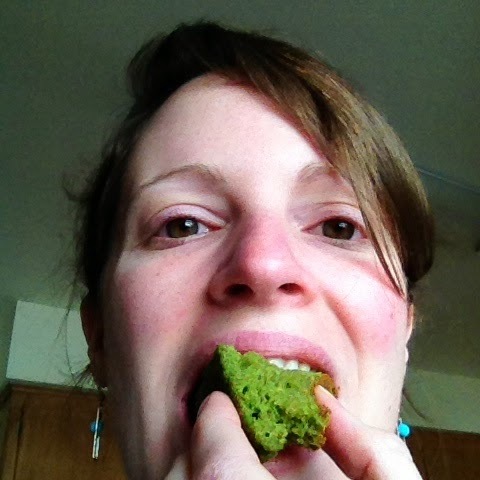 It’s quick and easy, but… food coloring? It’s only been in the last few months that I’ve begun forming a strong opinion against using artificial colors. Like it’s becoming a pretty big deal to me. When it comes to “clean eating” sometimes I feel like where do I start?! Processed, preserved, and artificial ingredients are now common and generally accepted. 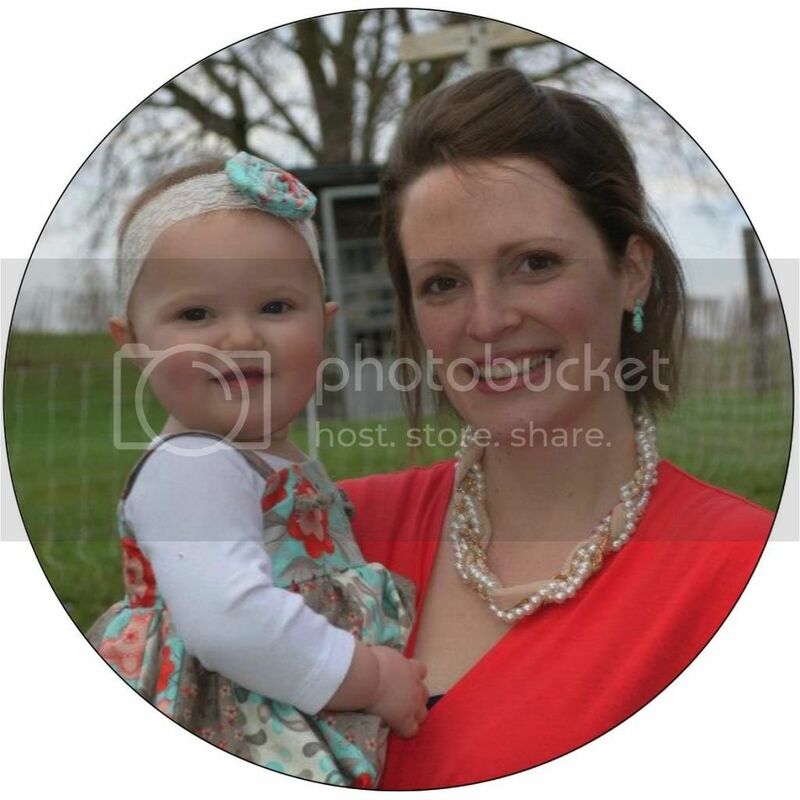 Now that I’m responsible for feeding a little human being, I find myself taking nutrition way more seriously than I ever used to for myself. I’ll write more on this later, but for now suffice it to say that I’ve become an avid label reader and for starters I’m doing my best to avoid all artificial colors and flavors and unrecognizable ingredients in what I buy and cook/bake myself. 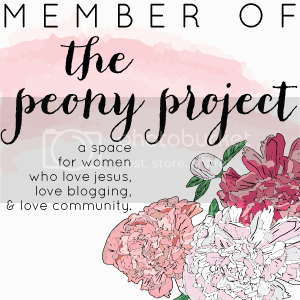 This isn’t to say I’ll never let Elsie eat a piece of candy (eek, my favorites growing up were Starbursts, Skittles, and Airheads… I might as well have just shoveled a few spoonfuls of refined sugar into my mouth and washed it down with some food coloring! Eating candy wasn’t a habit at home — thanks, Mom! — but was a treat I got to enjoy now and then…). And when we’re at someone’s house or out to eat, I’m not going to ask for a list of ingredients. However, when it comes to forming habits or eating patters, I’m choosing clean. And then March rolls around and green is in. You want to make a memorable breakfast for your family, but every recipe you find calls for sugar, red 40, red 3, yellow 5, yellow 6, blue 1 & blue 2, titanium dioxide, modified corn starch, vegetable gum, citric acid, sodium benzoate and potassium sorbate (aka green food coloring). 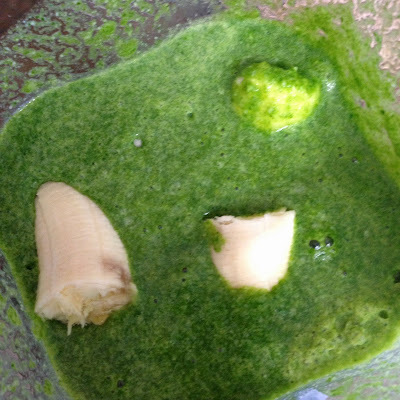 Well, well, well… this, my friends, is a perfect opportunity to not only make a tasty green treat void of artificial ingredients, but it’s also one that is packed with vitamins and nutrition! 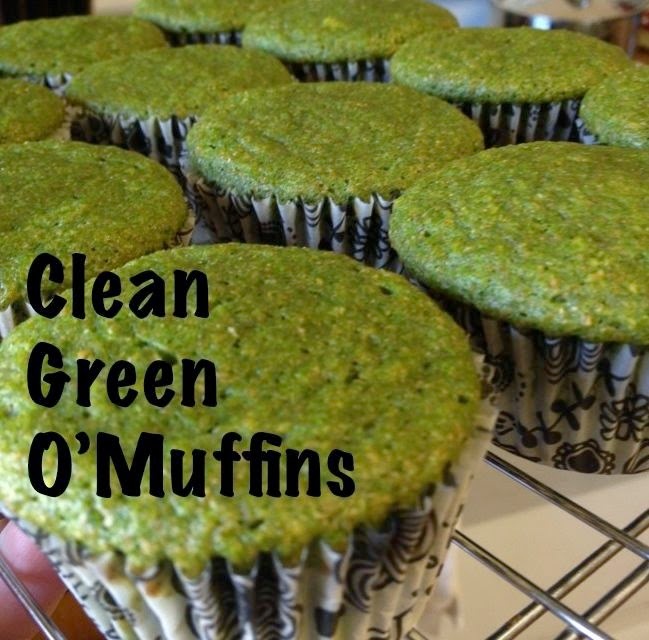 These Clean Green O’Muffins are a moist and healthy breakfast, snack, or dessert that your family (an coworkers, classmates, or anyone else you might share them with!) are sure to enjoy. 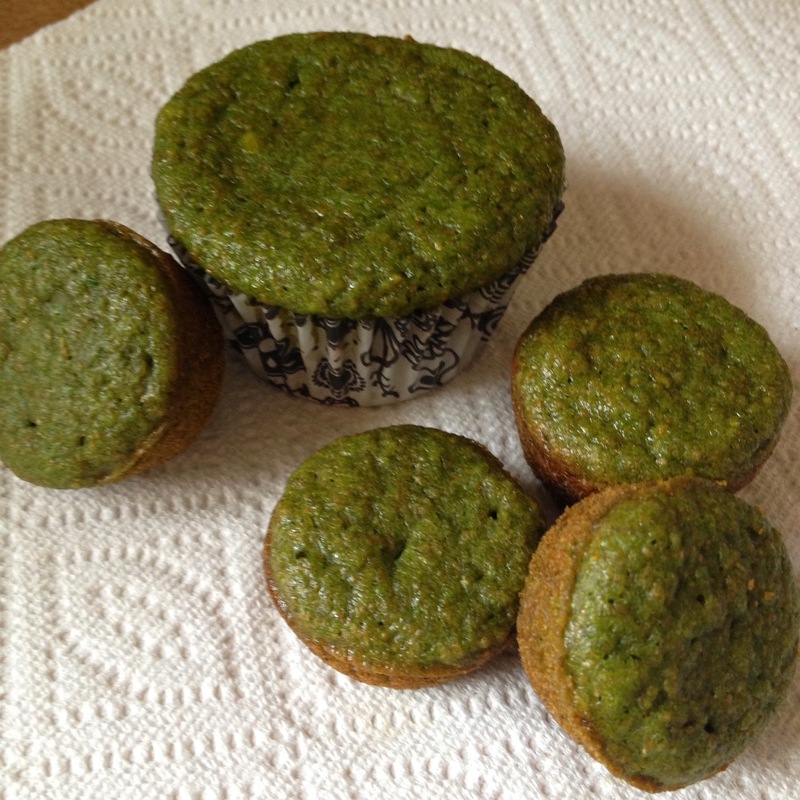 You would never, ever guess it from the taste, but these muffins are colored with… SPINACH. I’m serious, it adds no spinach-y flavor at all. 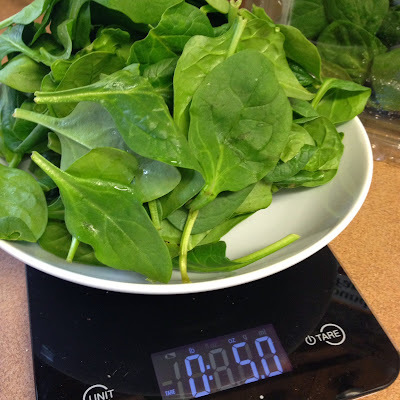 But what it does add (in addition to vibrant green color and a lot of moisture) is a ton of Vitamins A, C, and K, Iron, and Magnesium (to name just a few). The recipe calls for a 5-6 oz. bag of spinach. I happened to have bought this huge container of baby spinach on sale the other day, so I weighed out 5 ounces which came to about 4 cups. 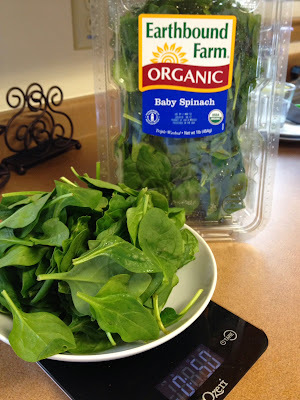 All of this spinach goes into one recipe of muffins?! Why yes, yes it does. 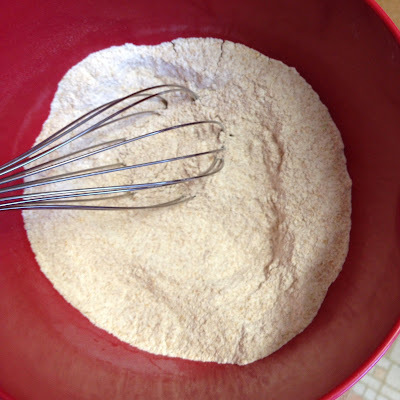 Combine all your dry ingredients in a bowl and set aside. Throw all your wet ingredients into your blender (another recipe using my blender?! What is this all about. 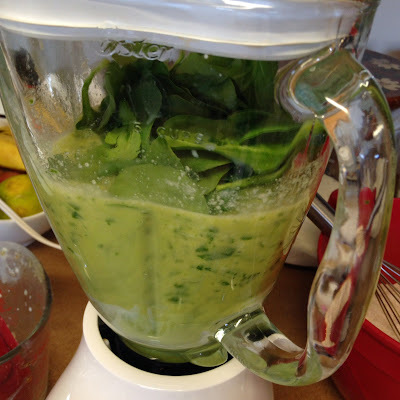 I think before last month I only used my blender for smoothies. Now I’m using it all the time!) and blend it until combined. Side note: the recipe calls for 3/4 cup maple syrup. I used 1/2 cup honey and 1/4 cup syrup (because my pure maple syrup is so preciou$). Wowsers. That’s a vibrant puree. The recipe calls for folding in mashed bananas. I just threw the bananas into the blender at the end. Pour your batter into your muffin tin (either grease the cups or use paper liners). 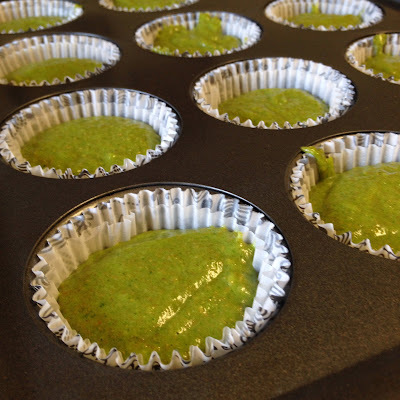 The recipe says it makes 12 muffins, and they would be very large muffins! I made 12 regular and 24 mini muff… fun size! 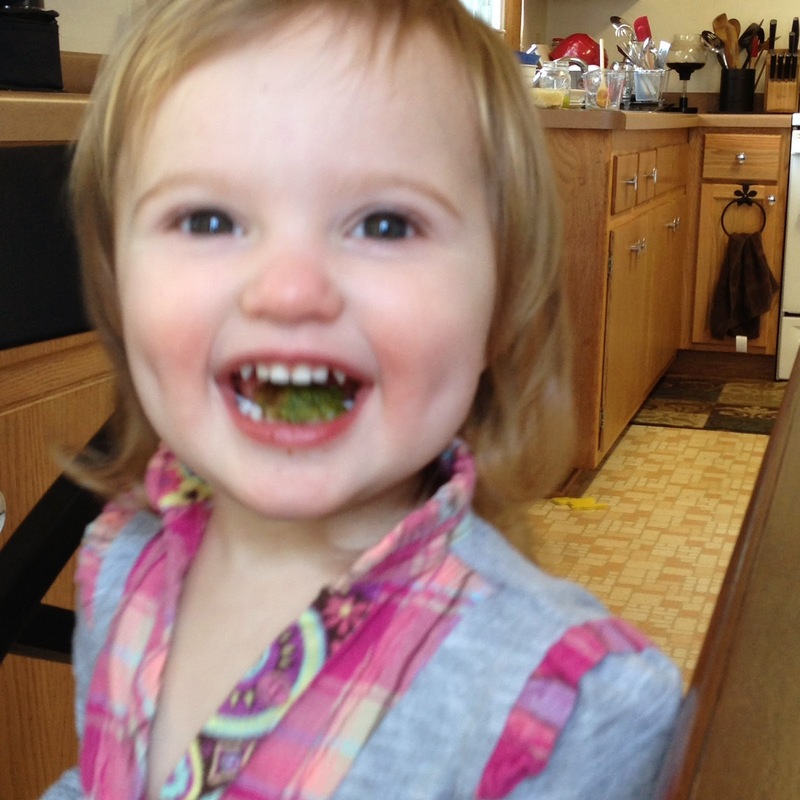 It all came down to the taste test of course… and they are Elsie approved! Jon and I enjoyed them as well, with a cup of coffee of course! 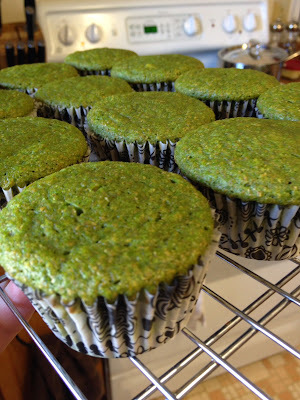 They’re extremely moist, just sweet enough, and oh so very green! With a little cream cheese frosting, these would be a delicious cupcake! In fact, I’m considering using this recipe for Elsie’s birthday this year. Spinach cupcakes?! Ha, why not! Add in 5-6 oz (4-5 cups) fresh baby spinach and puree. 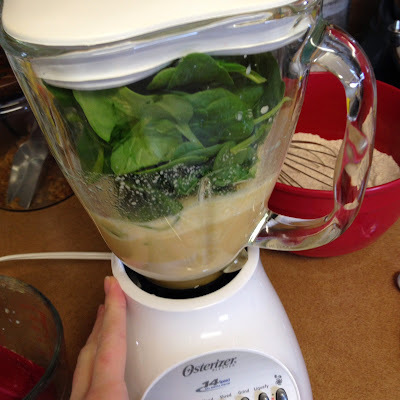 Add the spinach puree to the dry ingredients and mix just until combined. Fold in 2 medium mashed bananas. 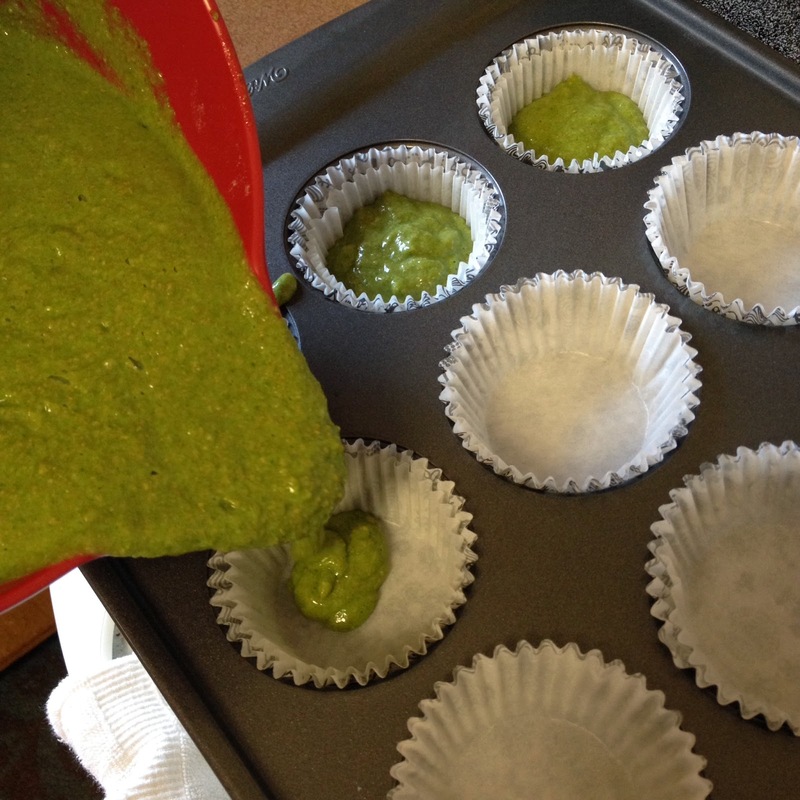 what a great idea for green muffins — they look delicious! and I see you were able to incorporate your new coconut oil too!